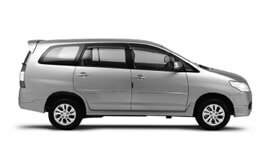 A full day hire service at My Taxi India comprises of a package to suit a number of local tour purposes such as sightseeing, attending meetings, shopping, seminars, visiting hospitals, and a lot more. Our exclusive outstation travel is provided under wide-ranging categories such as excursions, weekend getaways, and family leisure trip outside the city limits with our car rental outstation travel services. If the best quality to and fro service is what you are looking for, we will help you out. We specialise in offering state of the art roundtrip service various destinations from Bihar. Our one way drop hire service will help you enjoy premium quality taxi service to your desired destinations starting from Bihar. For visits to more than one city at a given period of time, avail our multi city travel hire service. The service has been designed to ensure hassle free trip to different destinations within a stipulated period of time. In order to ensure a comfortable trip, we offer customized car hire services to suit precise requirements of our clients. We also take care of budget our client is comfortable allotting for a trip. We guarantee the best car rental services in Bihar at highly affordable prices. Bihar experiences a diverse climate. The temperature of state is subtropical with hot summers and cool winters. The state of Bihar gets very cold during the winter (December and January). It gets very hot in the summer. As per official census report for the year 2011, Bihar district has a population of 82,998,509 residents. The gross state domestic product of Bihar for the year 2012 is approximately 2622.30 billion INR. Bihar gets about 22% of revenue from Agriculture, 5% from Industry, and 73% from Services. Recently, Bihar has emerged as brewery hub. The state is known for its production of a number mango, litchi, guava, pineapple, cauliflower, brinjal, bhindi, and cabbage. Bihar is known to be one of the oldest inhabited places across the world. Its history dates back to 3000 years. Tourists from all over the world are attracted to the rich culture and heritage of Bihar and its ancient monuments scattered all over the state. Bihar is home to several tourist attractions the best sites include Kumhrar, Agam Kuan, Barabar Caves, Nalanda, Vikramsila, Kesaria, Vishnupada Temple, Mahabodhi Temple, Sasaram, Maner Sharif, Patliputra, Brahmayoni Hill, Pretshila Hill, Ramshila Hill, Rohtasgarh Fort, Sasaram Fort, Palamu Fort, Maner Fort, Jalalgarh Fort, RajMahal, Munger Fort, Mahabodhi Temple, a Buddhist shrine and UNESCO World Heritage Site, Mahavir Mandir, Mahavir Mandir, Sitamarhi, Madhubani, Punausa, Takht Shri Harmandir Saheb, Gurdwara Pahila Bara, Gurdwara Gobind Ghat, Gurdwara Guru ka Bagh, Gurdwara Bal Leela, Gurdwara Handi Sahib, Gurdwara Taksali Sangat, Gurdwara Chacha Phaggu Mal, Gurdwara Pakki Sangat, Gurdwara Bari Sangat, Sri Guru Tegh Bahadur Ji Chauki, Buddhism pilgrimages, Mahabodhi Temple, Bodhi Tree, Bodh Gaya, Sasaram, Maner Sharif, Bihar Sharif, Phulwari Sharif, Rajgir, Pawapuri, Patliputra, Arrah, Vikramasila, Padari ki haveli, hawa mahal, Golghar, Patna Museum, Kargil Chowk, Mahatma Gandhi Setu, Patna Museum, Nalanda Museum, Bodh Gaya Museum, Vaishali Museum, Vikramshila Museum, Patna Planetarium, Srikrishna Science Centre, Valmiki National Park, Vikramshila Gangetic Dolphin Sanctuary, Kanwar Lake Bird Sanctuary, Bhimbandh Wildlife Sanctuary, Sanjay Gandhi Jaivik Udyan, Kakolat Waterfall, Telhar Waterfall, and Karkat Waterfall.